Abu Dhabi, UAE – April 30, 2018: His Excellency Dr. Anwar Mohammed Gargash will offer remarks along with Former US Secretary of State John Kerry, the keynote speaker, at NYU Abu Dhabi’s fifth Commencement ceremony on May 20, 2018. NYU Abu Dhabi’s graduating class is comprised of some 250 students from more than 70 countries around the world. The graduation ceremony will be held at NYU Abu Dhabi’s campus on Saadiyat Island. 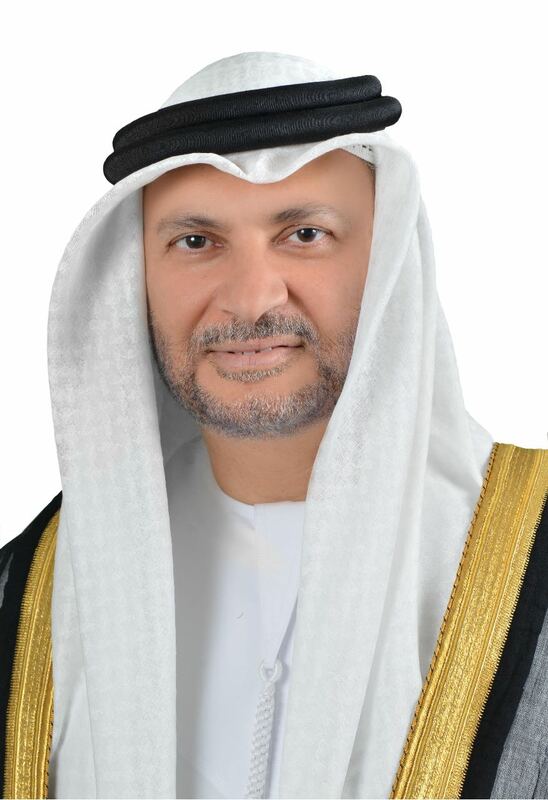 His Excellency Dr. Anwar Mohammed Gargash, Minister of State for Foreign Affairs, is a member of the Federal Cabinet of the United Arab Emirates and has served as Minister of State for Foreign Affairs since 2008. He is also the Chairman of the National Committee to Combat Human Trafficking, the Chairman of the Board of Trustees of the Al Owais Cultural Foundation, a Member of the Board of Trustees of the Emirates Diplomatic Academy, and head of the UAE team for the Human Rights Periodic Review. John Kerry was sworn in as the 68th Secretary of State of the United States on February 1, 2013, becoming the first sitting Senate Foreign Relations Committee Chairman to serve as Secretary in over a century. Kerry drew from this experience to provide the State Department with global stewardship on issues ranging from nuclear nonproliferation to radical extremists, to humanitarian challenges, and climate change. Kerry was a key architect of the Paris Climate Accord, signing the historic agreement in 2016 to reduce carbon emissions. He is currently a Distinguished Fellow for Global Affairs at Yale University as well as the inaugural Visiting Distinguished Statesman for the Carnegie Endowment for International Peace. Speaking on behalf of the graduating class will be NYUAD student Abda Kazemi. Born in Afghanistan and raised in the United Kingdom, Kazemi is majoring in Social Research and Public Policy with a minor in Arabic language. Emirati student Maitha Salem Al Memari, who was recently selected as a 2018 Rhodes Scholar, will also offer brief welcome remarks. This ceremony will be NYUAD’s fifth Commencement since graduating its inaugural class in 2014.